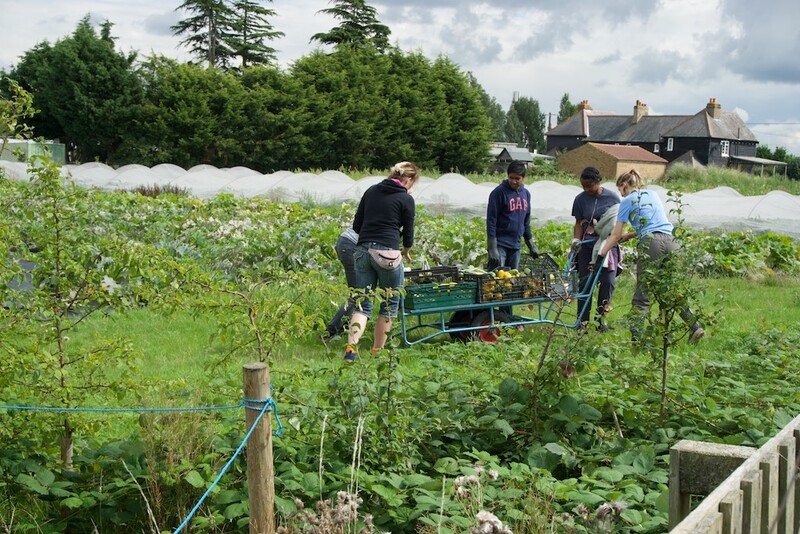 For over three years I’ve had the pleasure of managing a beautiful community farm on the edges of south London. It’s been one of the most interesting jobs I’ve had, combining my love of community work with social enterprise. With a heavy heart, I’ve recently decided to leave my job for new pursuits, but before doing so, I wanted to write some reflections about my time at the farm. It’s hard to know where to begin. Sutton Community Farm means a huge amount to me and has taught me so much. Through the farm I’ve developed a deep interest in the role food plays in our culture, the impact it has our wellbeing, and how our food choices influence the wider ecosystem on which we deeply depend. These interests have led me to view food as more of a relationship that we’re in. We know how relationships are not always an easy ride; they require nurturing, understanding, listening and compromises – and they can go through periods of being healthy or unhealthy. Over time, relationships usually mature and grow in new directions. In the kitchen, we develop a more complex repertoire, build our confidence and develop a deeper sense of the positive roles food can have on our lives. Some relationships however can hit dead ends and turn stale. We become lazy, get into bad habits and stop looking after ourselves properly. Many of our staff, volunteers and customers have a positive, healthy relationship with food. It’s inspiring to meet so many people that love to cook from scratch and work with the seasons to make nutritious, healthy meals from the food we’ve grown. We also meet many people who don’t have such confidence or adventurous attitudes. We meet children who are more familiar with tomato ketchup than tomatoes, parents who shield their children from leafy greens and teenagers who proclaim that they just don’t like any vegetables. It takes time to loosen bad habits, develop tastes and nurture a healthier attitude towards food. I’d say people should come and join in with growing, cooking and eating good meals on our farm for at least 8 weekly sessions. Over this time, one is immersed in a positive culture of physical exertion and eating seasonal meals together. Time at the farm can make cracks in stubborn attitudes and motivate people towards a healthier lifestyle. This experience may only be a starter and while we don’t transform lives immediately, we provide a space that helps people take steps in the right direction. 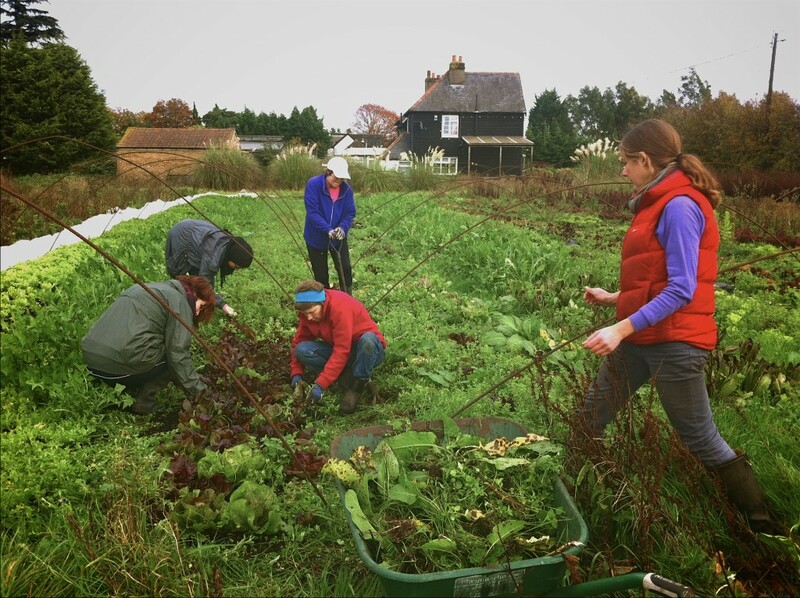 We recently started a project called Sutton People’s Kitchen and it’s my hope that we can reach out and create more positive food experiences for people in the wider community, who perhaps won’t come to the farm. 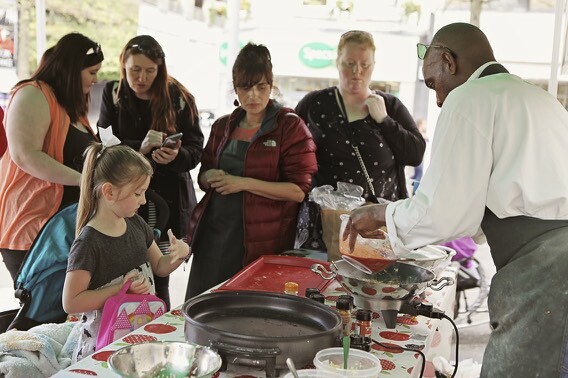 During 2016, we are running a series of community cook clubs and banquets, cooking demonstrations and food documentary film screenings. Behind the concept is the idea that giving advice, no matter how well-meaning, rarely inspires positive change. Rather, an integrated, variety of services and experiences will help motivate people to have healthier relationships with food. Local health and wellbeing data reminds us what we’re up against. In the UK, obesity affects about a quarter of adults and a fifth of primary school children. When it comes to eating the recommended 5 A DAY, just 16% of children and around a quarter of adults achieve this. A diet low in saturated fat, salt and sugar and high in fruit and vegetables reduces the risk of a range of chronic diseases such as heart disease, cancer, diabetes and stroke. The evidence is on the table which is why it’s so heart-braking to see completely avoidable diet-related illnesses take hold in young children; their chances of living a full and active life being stripped away before they’ve even finished school. This is a major public health challenge and it’s an incredibly complex area, having behavioral, genetic, environmental and social components. Our farm cannot offer a solution to such a public health issue as obesity. In fact, I don’t believe anyone can – there are no silver bullets. However, we can offer value as part of a comprehensive ‘whole systems’ approach to improving health. Looking at the type of food available in our local communities, our bad state of health is not surprising. It’s not just the obvious fast food outlets like Chicken Cottage and Subway that are guilty, the big chain supermarkets are equally dangerous places to visit. When visiting such shops, I find it’s best to skirt around the edges, only taking the fresh food and any other essentials, then quickly getting out before any special offers grab my attention. The majority of supermarket stock, I’d suggest about 85%, is not doing us much good. It’s cheap, processed food-like stuff. This is one of the good things about our Veg Box scheme. It provides a regular source of good, wholesome and affordable food. After running a VegBox scheme for the last few years, I recognise how challenging this product can be for people who are picky about their vegetables or have chaotic lifestyles. In response, we’ve made our scheme as flexible as possible and we help people out with storage tips and cooking ideas. Community farms not only deliver good food; they invite people to join in with another part of the food journey – production. After years of involvement in the voluntary sector, I know how hard it can be for projects to attract committed volunteers. Yet on our farm, we are rarely short of people willing to join in. I believe one reason is because food growing is an incredibly inclusive activity, appropriate for people of all ages and abilities. One of our volunteers, a retired head teacher recently said that as soon as she steps onto the farm, all her worries and problems go away and she feels a great sense of peace. Sowing seeds and working with the soil is an intimate experience and one that requires patience and dedication through the seasons. When we sit down to eat our produce at the farm, we treasure the food on our plates, appreciating every delicate flavour. There’s nothing like eating produce that you’ve grown and I’ve been incredibly fortunate to have had that pleasure almost daily over these last few years. And I hope this will continue for the rest of my life. I believe more than ever before that community food projects like ours can have a powerful role in healing broken relationships. As I step away from the daily involvement at Sutton Community Farm, I hope it will continue to thrive and act as a role model to other communities, helping create more resilient, healthier food systems that we so desperately need.